Rosie Reviews for The Binge: I'm a Celebrity. Shane Warne doesn’t like women talking about farts. He’s made that pretty clear during his time in the jungle. Living in disturbingly close proximity to actual female celebrities, Warnie has had plenty of opportunity to espouse his opinions about how his female fellow celebrities behave. Thanks for that insight into life chez-Warne, Shane, but Rosie Waterland has some thoughts on this. Especially since Warnie’s recent criticism focuses on Laurina Fleur from The Bachelor Season 2 — Rosie’s “accidental feminist hero”. And on this week’s episode of Mamamia’s TV podcast The Binge, Rosie lets rip. No, not like that. At all. “Laurina was cooking beans, and she said something about the enzymes in the beans, and if you cook them for longer means you won’t fart as much,” Rosie says. “His thing is, he doesn’t think ladies should talk about things like that. “And then he went and had a whole rant… about how he thinks there’s a proper way for ladies to behave and how women shouldn’t behave that way. Farting is only the top of this blonde-tipped iceberg, says Rosie. 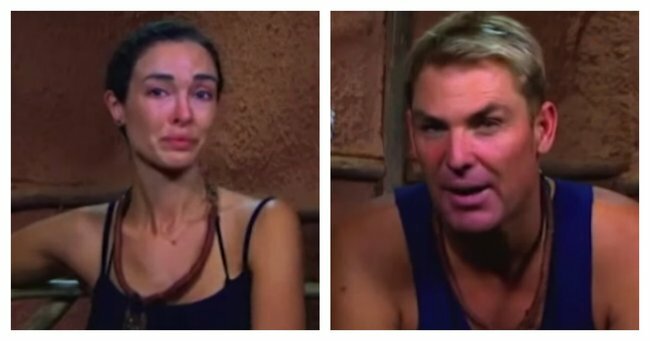 “Laurina… who doesn’t even realise she’s a feminist, and I love it… was saying that when she has conversations with Warne, when she raises her voice she gets cut out of the conversations. Um, did anyone tell Liz Hurley?